Valerian root is an herbal supplement, commonly used to treat mental strain, anxiety, restlessness, insomnia, lack of concentration, stress, nervous stomach, menopause and premenstrual syndrome. Although the supplement is herbal, it should be treated as a medication when used for medicinal purposes. Allergic reactions have been reported by people who have taken the supplement. If you believe you’re experiencing an allergic reaction to valerian, you should call your doctor immediately. Not all allergic reaction symptoms are severe, but it should still be reported. Signs of an allergic reaction to valerian root can develop within a few minutes of taking the supplement or up to an hour afterward. Signs can be minor to severe and may appear as a side effect. Any time you develop an adverse reaction, you need to call your doctor for further evaluation. Allergy signs to valerian root can begin as minor and continue to develop into more severe reactions. Most signs will affect your respiratory system, skin and gastrointestinal tract. In limited cases, you can develop a severe allergic reaction while taking the supplement. If you have an allergic reaction to valerian root, it’s because your immune system mistakes it as an intruding substance that could potentially harm the body. Your immune system protects your body from infectious organisms, such as viruses, bacteria and toxins. 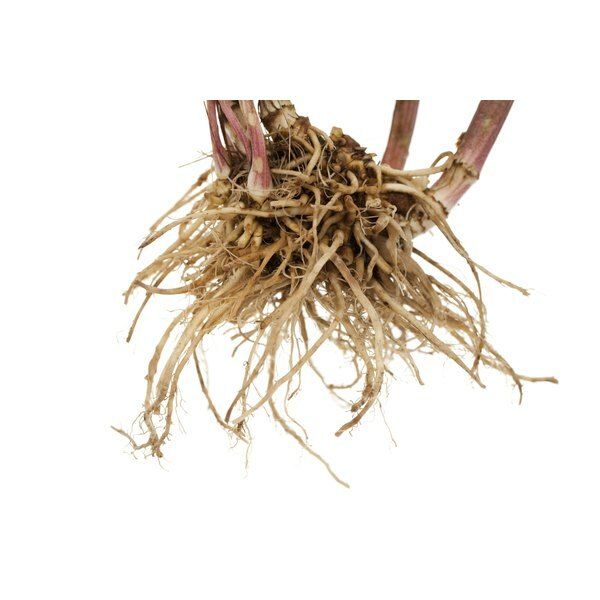 If your immune system identifies the valerian root as a potentially harmful substance it will develop immunoglobulin E, or IgE antibodies to fight it off. When this occurs, the body responds to the IgE antibodies by production histamine, a chemical that’s released in soft tissue that results in inflammation and swelling. Respiratory symptoms are the result of swelling in your airways and sinus cavity. You can become short of breath, begin wheezing and coughing due to constriction in your breathing. If your sinuses become inflamed, you will develop nasal congestion, sinus headaches, facial pressure and post-nasal drip. The skin can become inflamed and irritated, forming rashes, such as hives, eczema and general skin itching. Digestive complications may include vomiting, diarrhea, abdominal pain, cramping and nausea. The most concerning signs of an allergic reaction include swelling in your face or lips, hives, chest pain, the inability to breathe, your throat swelling, lightheadedness, a drop in blood pressure and a rapid and faint heart rate. These are signs of anaphylaxis, an extreme allergic reaction that affects your entire body that is considered life-threatening. Go to the emergency room or call 911 at the first signs of these symptoms. Can Lactose Intolerance Give You Skin Symptoms? Are Allergies Possible With Magnesium Citrate?